At Vanguard Dental Group, we pride ourselves on providing you with a comfortable, relaxing experience. We do this with you in mind. Our friendly, well-trained team near Londonderry and Windham NH treats all our patients like family. You will love our comfortable inviting office in Derry NH. But let’s face it, you come to the dentist for dental work. CEREC is a marvelous dental technology that gives us the opportunity to place a custom made dental crown when you need one that very day. In the past, dentists have had to make a mold of your teeth, send that information to the lab who made the dental crown and when the crown arrived back in our office near Windham NH and Londonderry, you came in for another visit to have the crown placed. 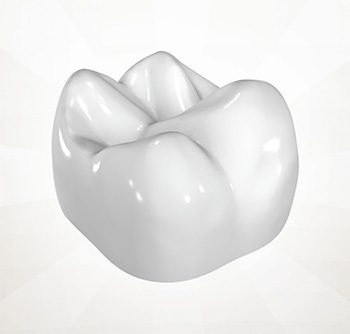 CEREC is a machine that takes porcelain crown material and after receiving computer-generated information, forms the tooth crown while you are in the office. We place the crown right then! No second appointment needed with CEREC! And the crowns are beautiful and just as hardy and long-lasting as traditional crowns. CEREC same-day restorations use the state-of-the-art CEREC Omnicam digital 3D color impressions dental technology to create the loveliest, most comfortable dental crowns ever. 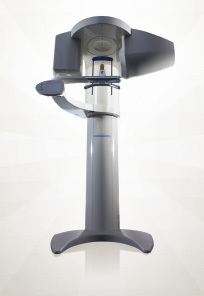 At Vanguard Dental Group in Derry NH, we use the Gallileos Comfort+, which is the top of the line, most advanced scanner on the market. This dental technology makes it easier to get the best information when performing many different dental procedures including dental implants and diagnosing certain problems or pathologies. It even integrates with our CEREC technology for virtual implant placement and planning. Traditionally we would need to take a digital x-ray to get this information, but with the Conebeam 3D scanning, we get more information in one digital picture. Gone are the days when we give you traditional x-rays, which are uncomfortable, have health dangers, and often aren’t even as effective as we’d like. Now, with remarkable dental technology, digital x-ray technology is available at our Windham NH area office. A digital x-ray technology doesn’t expose you to radiation. A digital x-ray is also much quicker because they give a more precise overall image. A digital x-ray is also far more comfortable than those bulky x-ray films of yesteryear. Using a surgical microscope gives us a much clearer picture, so we can be as precise as possible when surgery is required. Using dental technology with a laser is amazing. No more invasive cutting is needed with soft tissue (gums) issues, and the healing time when a dental laser is used is usually much quicker. If you want a dental practice that can offer you the finest dental technology, from digital x-ray to CEREC crowns, call us today at our office serving the Londonderry, Windham NH and Derry NH areas! We have the dental technology and expertise to take care of most all your needs in one location.